An extremely unique piece. 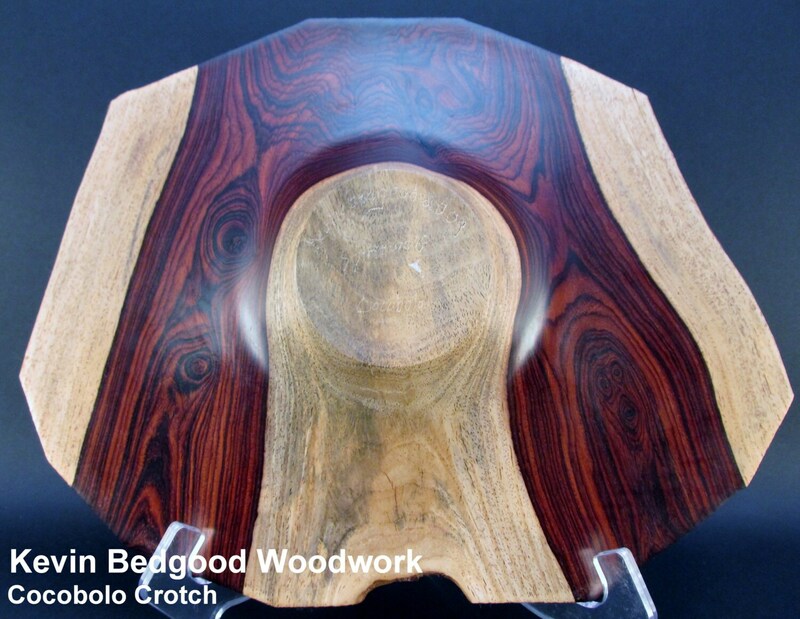 This piece is made out of the “crotch” piece of a Cocobolo (Rosewood) tree. You can clearly see where the trunk of the tree split into two different limbs. 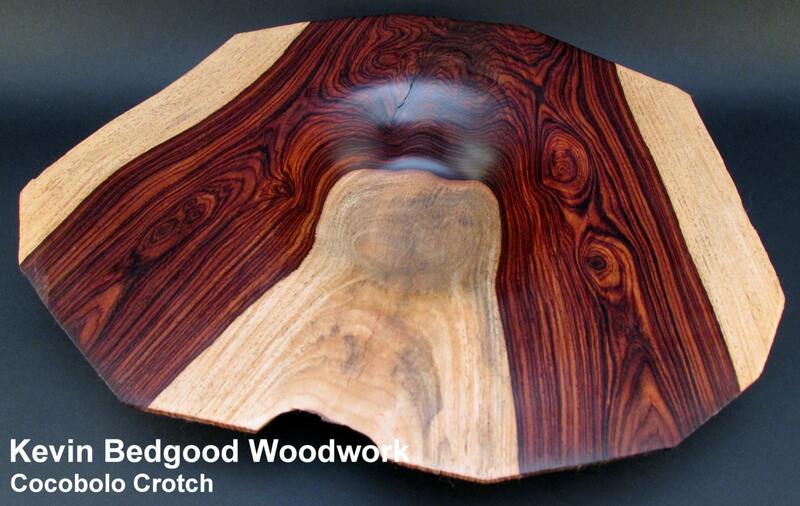 This piece also, rather dramatically, shows the difference between the heart wood and the sap wood of trees. The darker color is the heart wood and crows near the center of the tree, while the creamy almost yellowish is the sap wood that crows near the exterior (next to the bark) of the tree. 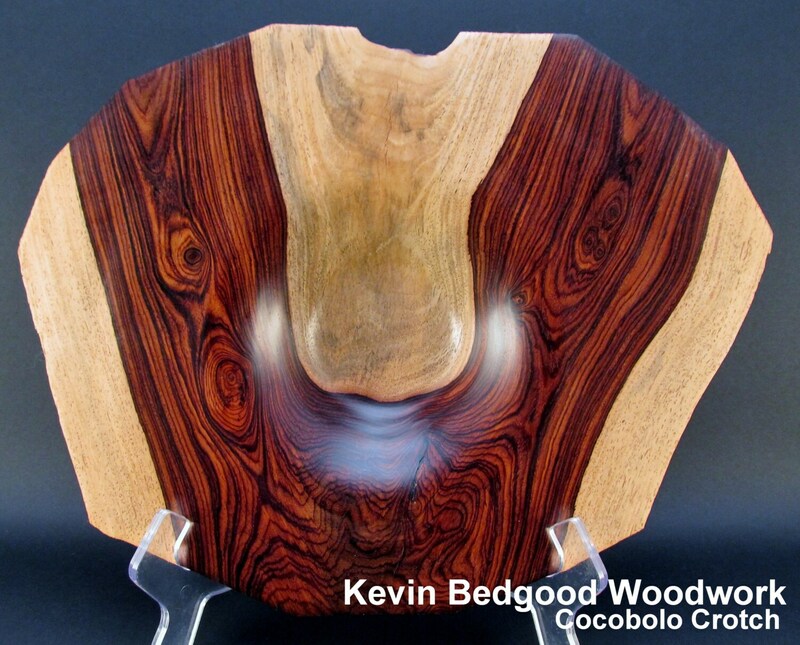 Rosewoods very often have a significant difference in coloration between the two types of wood within the same tree. 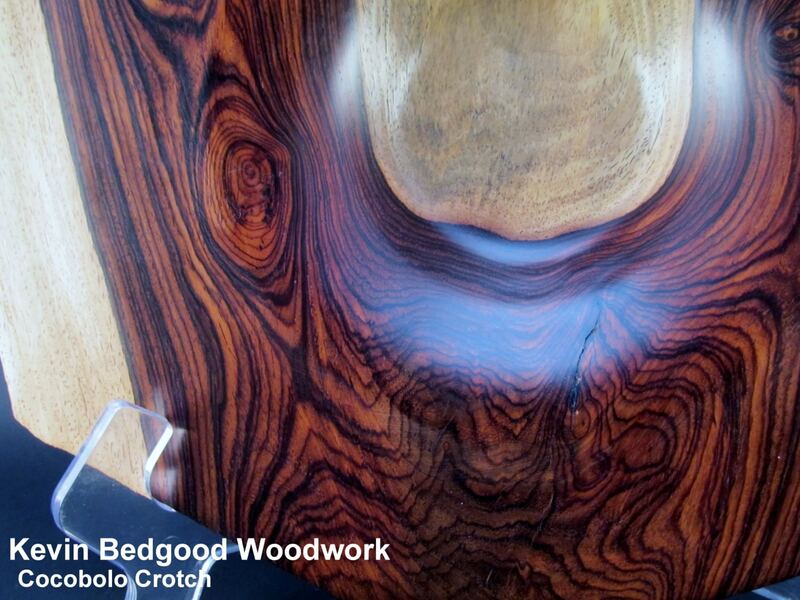 All woods can have natural cracks and voids and these are not considered defects. It was hand sculpted on my lathe by me. My sanding and finishing process is rather elaborate and involves more than 20 steps. It has been finished with Tung oil and then buffed out with wax. It is NOT for liquids. Like any natural wood product, it should not be placed in direct sunlight for long periods. You will receive the exact piece of art pictured. It is 1 7/8” tall and 11” x 14 1/4”. A real “stunner”! Picture this in your home or office. What will you friends or co-workers say when they see this?